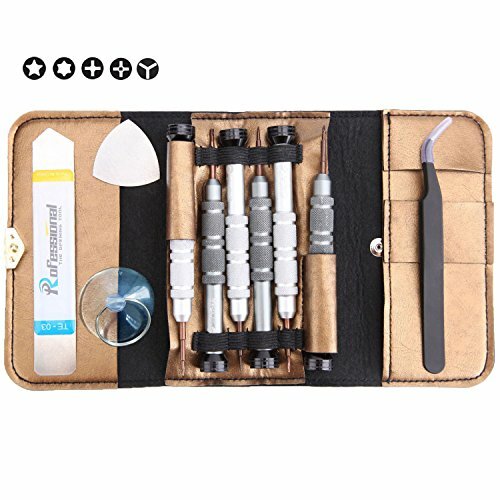 After long-term designed and tested for many times, this Phone Repair Kit Tools with great high quality and practical repair Tool Kit Precision Screwdriver Set is highly proud to be released for all of you. With this kit set, you can easily to repair your devices by yourself. No need to ask help from others. It will give you unforgettable joy and unprecedented sense of accomplishment during the DIY. 1. 100% New Precision Screwdriver Repair Tool Kit Set with premium quality. 2. Avoid leaking personal privacy. 3. Meet different repair needs. 4. Suitable for most electronic devices, especially for almost all of the smartphone. 5. Portable and stored easily in a small high-grade leather bag. If you have any questions about this product by COSVE, contact us by completing and submitting the form below. If you are looking for a specif part number, please include it with your message.